In this example a listener is defined that listens for creation of subtables one level down from the listener. That is subtables with the key "/datatable/<any-table-name>". 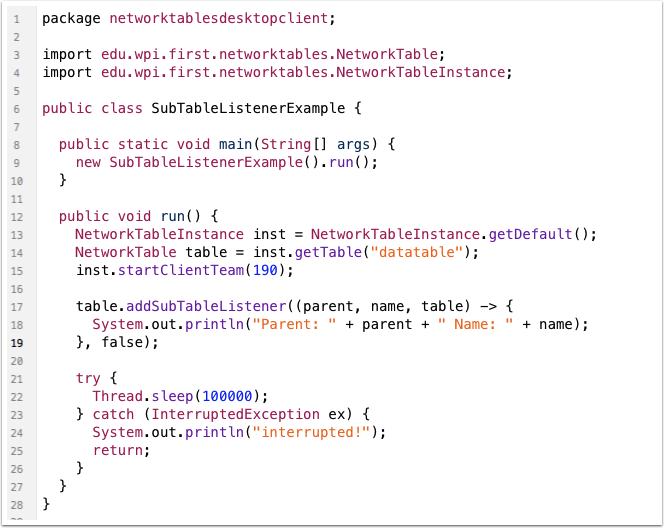 This will fire the callback for each existing subtable, then continue to listen for new subtables created immediately below "datatable" in this case.